Bloggers blog to have an outlet for the many thoughts cooped up in their heads. At least, that’s what I’d like to think. Sure, there are some who think their writing will compel thousands to instantaneously subscribe to their blog, which then leads them to fame and fortune. I blog because I love to write, and it’s a bonus when my writing is good enough that it connects with you, challenges you, annoys you and makes you want to keep reading. The weird thing with blogging is that most bloggers I know want people to read their posts. You make it fun in a different way. The comments let us know you’re there, but there are ways to know that there are silent ones who read as faithfully as they can. Thank you. We/I can get needy that way, wanting readers. We’re very vain that way. We figure if we write it, it surely must be worth reading. But with a bajillion blogs out there it’s easy to get lost and be very lonely. So in the spirit of broadening our RSS feeds, I’d love to know what blogs – other than More Than Serving Tea, of course – you follow and why. – Reappropriate.com – An asian american feminist grad student who blogs on race in the US, her blog server is down this weekend unfortuntely! Good to insert an AA female voice in a predominately male AA blogosphere. – Asian-nation.org – Asian American sociologist who always has the most interesting recent stats and research on race deomographics and news. – NewAmericaMedia.org – An alternative news outlet that highlights news stories that break related to minority individuals or groups. I follow news categorized to Asians. – Racialicious.com – for all race and culture related news! While I don’t always agree with what is written, the perspective keeps me thinking! I also follow a number of Asian American Christian bloggers and favorite IV staff friends. I follow theMansGuidetoLove.com just for fun! 1. Think – mostly theological or culture-related blogs (of which yours is one), basically anything that sharpens my mind toward God. Examples are nextgenerasian church, and pastors’ blogs. 2. Friends – friends’ blogs, because everyone has one! 3. Fun/Optional – funny blogs like Stuff Christians Like, friends’ facebook shared items (yes, there is an RSS feed for that! ), etc. 4. Deals – deals online! Stuff like Slickdeals.net, Woot deals of the day, etc. 5. News – just feeds from Reuter’s and BBC global news frontpages. I could copy all of these websites for you here, but I think that would be overkill 🙂 If you’re interested in some specific ones though, feel free to ask! 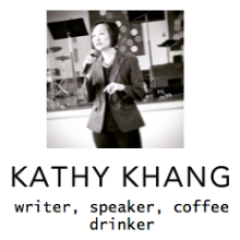 Your blog is great Kathy! It’s great to have insight into a fellow Asian-American’s life, especially one that is older than I am and has walked some roads already. It definitely helps shape my ideology of what God wants to use me for as a mixed-culture person 🙂 so thanks! You have categories for your 104 subscriptions?! I’ve resisted the RSS reader urge because I know myself too well…but it’s so tempting….104?! How about you name your favorite (or the one you most-recommend) for categories 1-3? A blog by an Australian-Chinese youth pastor; the majority of his stuff is on Australian-born Chinese culture and how Chinese culture affects their Christianity. Definitely recommended. My freshman housegroup leader John-Michael is now a missionary to South Korea, working at an orphanage and planting a church in Seoul. My buddy Bryan left for the jungles of Peru for two years in the middle of college, and is now back at VT trying to graduate. The Big Picture – The Boston Globe puts out large-res pictures of the current news (for example, right now it has pics of the volcano in Iceland). Very enjoyable sometimes, and very real and solemn at other times (like when they covered Haiti). oh right, I also wanted to explain that I don’t read all 104, of course…it’s a bit of acquired skill over time to learn to prioritize what I want to read. My Deals and News I just skim the headlines of, and if something interests me, I’ll click it. All the other blogs I will tend to read more of (especially the Think category), but I will skip a lot of them all the same. I follow a lot of blogs, especially those of friends and family. I’d love to recommend a few random blogs I really enjoy.